After scoring a tough jump-shot, Keith Langford made a gesture to the Panathinaikos’ fans in OAKA. 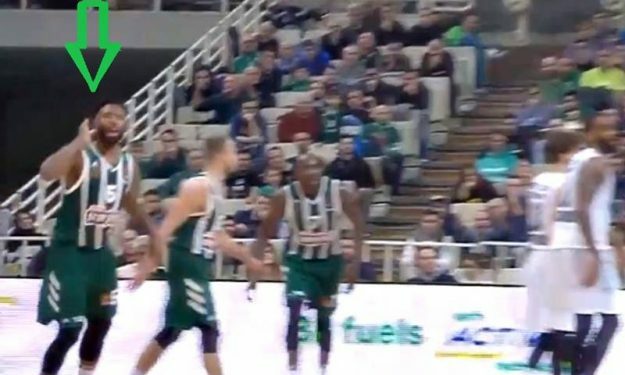 During Panathinaikos‘ offense in the second quarter, Keith Langford received the ball behind the three-point line but decided to not take the open jump-shot. The crowd did not like his choice, and mumbled for a little while in the OAKA stands until the 35-year old veteran scored a tough fade-away shot at the buzzer. After he scored, he reacted towards the Panathinaikos‘ fans. It is worth mentioning, that Langford was Panathinaikos’ top scorer in the first half with 10 points (4/6 FG). As he explained after the game: “This was my answer. I want to fight until the end with my teammates against everything and everyone. We have to keep on. We can’t be sentimental“.